There is a difference between a licensed and a Board Certified Orthodontist. All practicing orthodontists are licensed; only about 30% of all orthodontists are Board Certified as well. 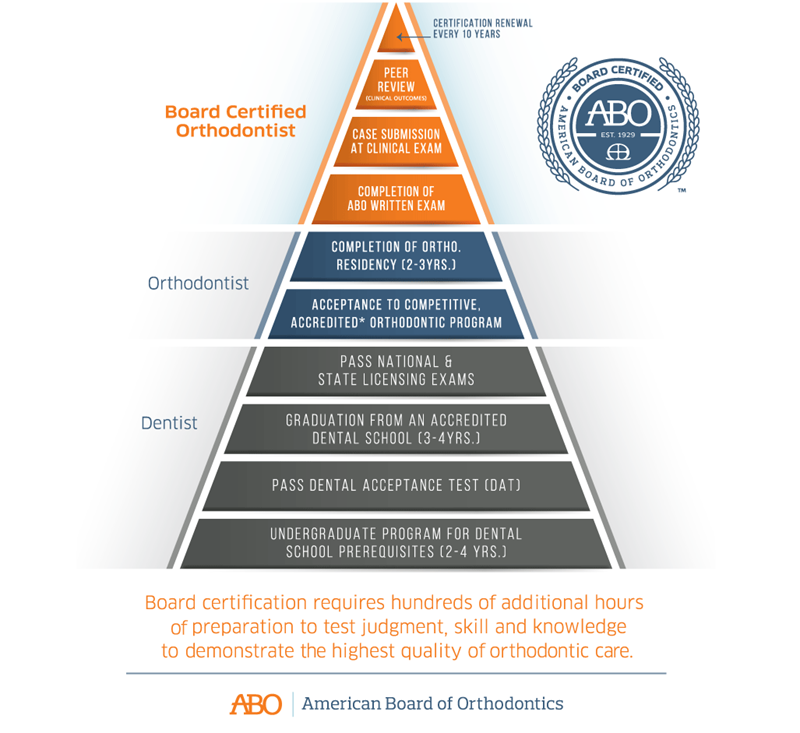 Certification as a Diplomate of the American Board of Orthodontics signifies a unique achievement—a large step beyond the two to three years of advanced education required for a dentist to become a specialist in orthodontics. The current procedure requires the candidate to demonstrate actual accomplishments in patient care with detailed case reports on the treatment provided for a broad range of patient problems. Board certification is a unique honor following a process by which an individual orthodontist is thoroughly examined by an expert panel as to orthodontic knowledge and clinical skills. What is the American Board of Orthodontics? 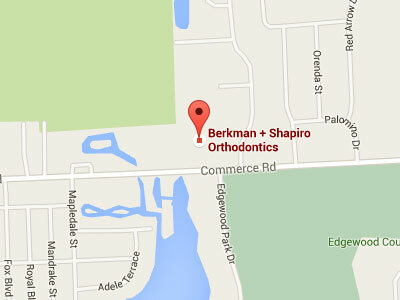 Are there other recognized boards in orthodontics? No. Today, it is the only certifying board recognized by the American Dental Association for the specialty of orthodontics. The American Board of Orthodontics (ABO) was founded in 1929 and is the oldest specialty board in dentistry. Key objectives of the ABO are to elevate the standards the practice of orthodontics, and to certify continued proficiency and excellence in orthodontics. If Board Certification is voluntary, why would an orthodontist become board certified? The passage of the examination process is a demonstration to the dental profession and the general public of the orthodontist’s pursuit of continued proficiency and excellence in orthodontics. It is a representation of a commitment by a licensed specialist that he/she has the necessary knowledge base and skills to treat patients to the highest of standards. It exemplifies a practitioner’s commitment to continue to keep abreast of the latest advances in patient care, and to continue to deliver these latest advances to patients. What is the process by which orthodontists may become board certified? Since its founding in 1929, the process has changed many times. Today, the process involves a thorough Written Examination covering all areas of information on which an orthodontist should be knowledgeable. Successful passage allows the orthodontist to then present detailed case reports, which demonstrate a history of excellence in patient care. These cases are evaluated by expert examiners of the Board during a Clinical Examination. An Oral Examination is then given, and the applicant is tested on a wide variety of academic and clinical topics. Certification is then awarded for a time-limited period and the orthodontist must re-examine on a periodic basis to maintain the board certified status.